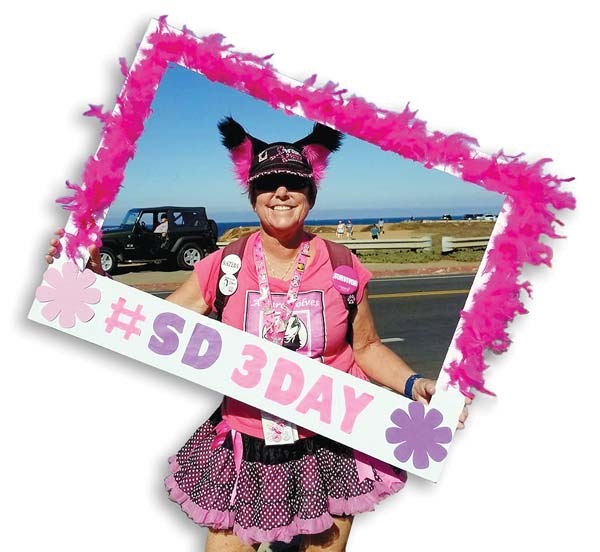 Kihei resident and breast cancer survivor Linda Lafragiola is gearing up for her ninth Susan G. Komen 3-Day — a 60-mile walk to promote breast cancer awareness and raise funds for breast cancer research. Twenty-four days. 480 miles. One mission. The Susan G. Komen 3-Day made its debut in 2003, and since then, more than 500,000 participants have raised more than $820 million to support 2,500 cancer research projects and 460 clinical trials (and counting). 3-Day participants raise a minimum of $2,300 and walk an average of 20 miles a day for three consecutive days. For the past few years, the annual events have been hosted in San Diego, Seattle, Michigan, the Twin Cities, Philadelphia, Atlanta and Dallas/Fort Worth. Clearly, walking 60 miles is no small feat — especially when you factor in inclement weather and hilly terrain — but any 3-Day participant will tell you that the aches, pains and blisters are worth it. According to the National Breast Cancer Foundation, 1 out of 8 women will be diagnosed with breast cancer in her lifetime, and an estimated 2,470 men are diagnosed with breast cancer each year. Lafragiola learned she had breast cancer in 2011. Fortunately, it was an early diagnosis and the cancer was limited to a small tumor; she underwent surgery that summer, followed by six weeks of radiation. 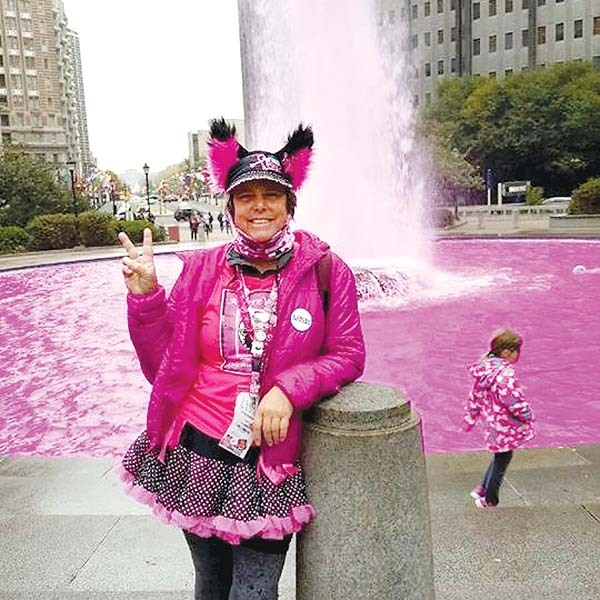 Midway through her treatment, a friend asked Lafragiola to join her at the Susan G. Komen 3-Day in San Francisco in June 2012. “I thought, ’60 miles, three days . . . if I can survive breast cancer, I can do that.’ “ she recalled. Lafragiola’s final radiation appointment was on Nov. 1, 2011, and the next morning, she and her sister, Kathi, laced up their sneakers and started training. Several months later, the sisters had logged more than 1,000 training miles and raised over $5,000 each — enough for two 3-Day walks. So, they decided to register for the San Diego 3-Day in November 2012, too. Not long after completing their second 3-Day in San Diego, Lafragiola and her sister started a team — cleverly named the “AwareWolves” — and have walked every year since in San Francisco, San Diego, Seattle and Philadelphia. The two siblings and their fellow teammates have raised more than $150,000 — money that could help fund the next breakthrough in breast cancer research. To learn more about the Susan G. Komen 3-Day, visit www.the3day.org or Lafragiola’s fundraising page at www.the3day.org/goto/LindaLafragiola. Susan G. Komen 3-Day events are held throughout the year in seven cities. It’s equal parts glitter and grit. Pink-clad and costumed participants (many of whom are breast cancer survivors) walk 60 miles over the course of a three-day weekend and are cheered on by supporters every step of the way.